This rainbow crystal decoration is the perfect size for hanging on the rearview mirror, hanging in a sunny window or wherever you choose! 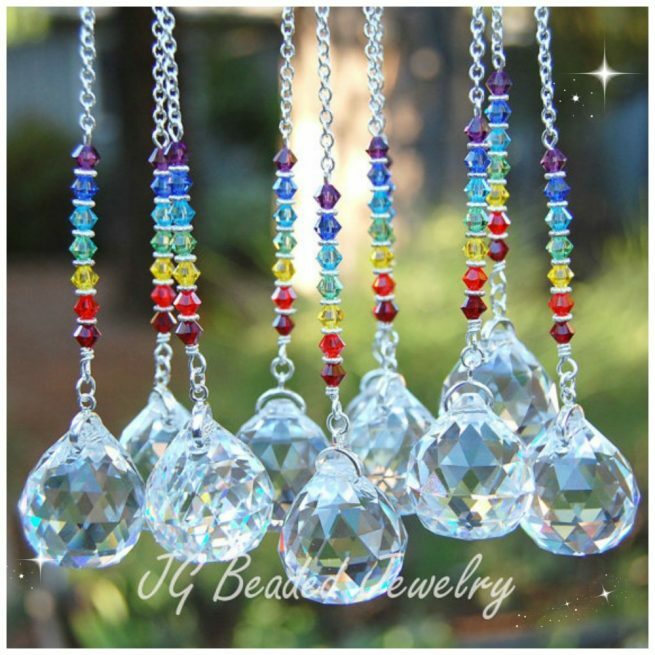 It is crafted with a 20mm clear prism crystal ball and wire wrapped by hand with flawless Austrian Swarovski crystals in seven colors of the rainbow along with fancy silver metal beads. 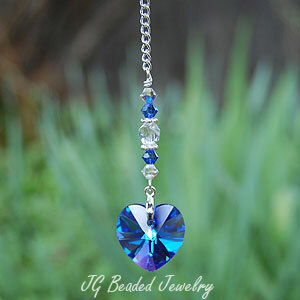 Length of the rainbow crystal decoration is approximately 2.75 inches before the chain is added. 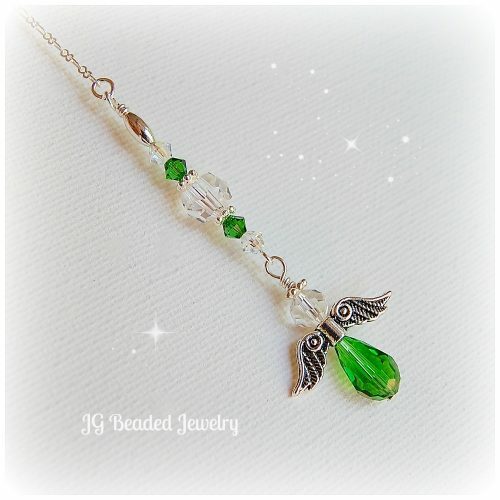 It comes on your choice of a silver chain with clasp (rearview) or a six inch silver chain with a ring (home decor) for ease of hanging wherever you choose! 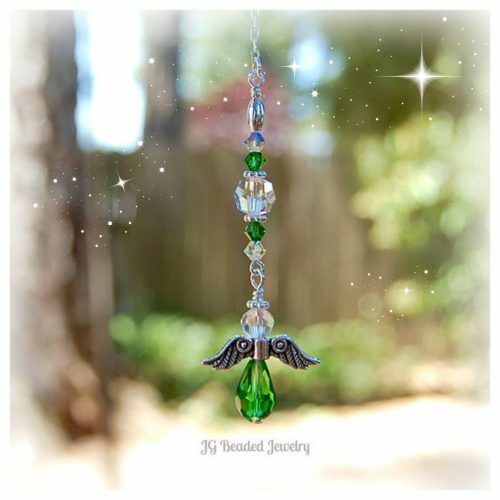 Find more unique Crystal Suncatchers and Crystal Car Charms.